Admit it, you’ve been sucked into the dark, spinning vortex that is Youtube’s collection of twerking homevideos at least ONCE. It can’t be just us. There’s just something about watching jiggling butts that’s inexplicably captivating. 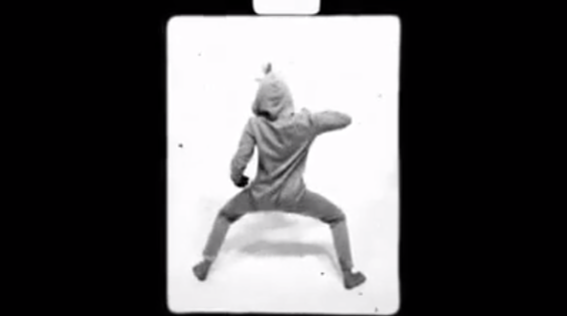 The vortex’s latest acquisition is Miley Cyrus’ own attempt at the twerk. Captured on grainy black and white film (although using a webcam would have been more appropriate), Miley Cyrus wears a unicorn (frog?) suit and joins in on the booty clappin’ fun. Watching Hannah Montana "express herself" is kind of awkward, but again, it’s impossible to look away. Watch Miley Cyrus doin' her thang in the clip below.